I can remember the first few foods I fell in love with. The first was pop-tarts. I know, they aren’t glamorous. And I guess really (by pastry standards) they aren’t even delicious. But oh how I loved them. Any of the chocolate ones were my favorite. And they had to be iced. I never understood the people who eat icing-less pop-tarts. I could eat 3 boxes a week. I had no limit and never felt guilty about it. LOL – Oh how things change… I don’t eat pop-tarts anymore. I really think it’s just that I can’t trust myself with moderation and my metabolism isn’t what it used to be! The second food I remember loving was mashed potatoes. My dad made the best mashed potatoes. He was always in charge of them at holiday gatherings. I would skip everything else and just eat the potatoes. I didn’t limit myself to “real” mashed potatoes, though. I used to make bowls of instant mashed potatoes for meals. If I was feeling really creative I would add shredded cheese. Gross. I know. Not sure if you’ve noticed, but all of these favorite foods are pretty well processed and have little nutritional merit. They land high on the fat scale and are loaded with simple carbohydrates. Well, I recently saw a chance to lighten my mac and cheese. It happened sort of on accident. I had a friend over for dinner the other night who is gluten intolerant. This isn’t a hard thing to accommodate until you want to serve your stand-by mac and cheese as a side. And no, I am not referring to Kraft! I do make a real mac and cheese now that I love! (regular pastas are a no-no) So I thought about making a risotto. 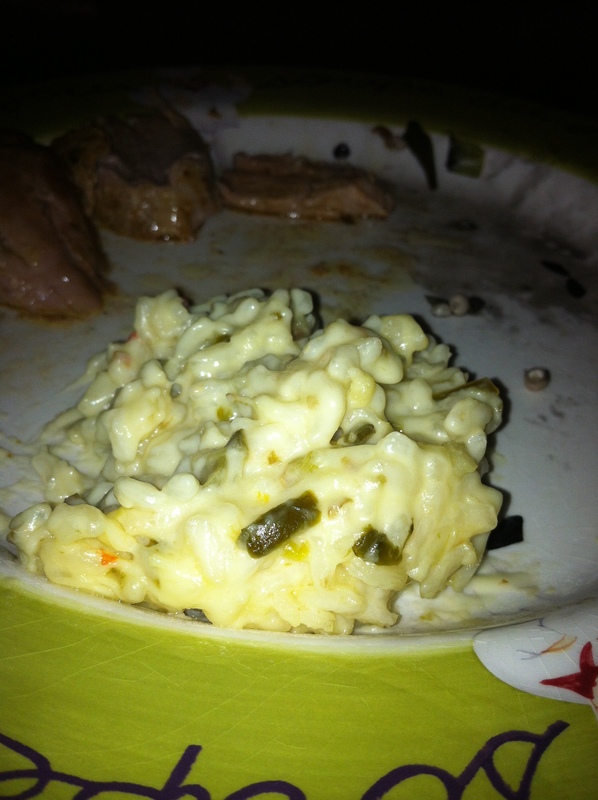 Then I thought about making a risotto to resemble a macaroni and cheese… My jalapeno popper mac ‘n cheese! It turned out great!! It had the same rich, creaminess of mac n cheese without the fat of a cream sauce. In fact, I added only 8 oz of light sour cream and 3 Cups of shredded cheese. OK – so I’m not saying it was a low fat side, just saying it was lower fat than my original pasta version. If you have gluten free friends and family, this is a good option for a side dish or a main course. 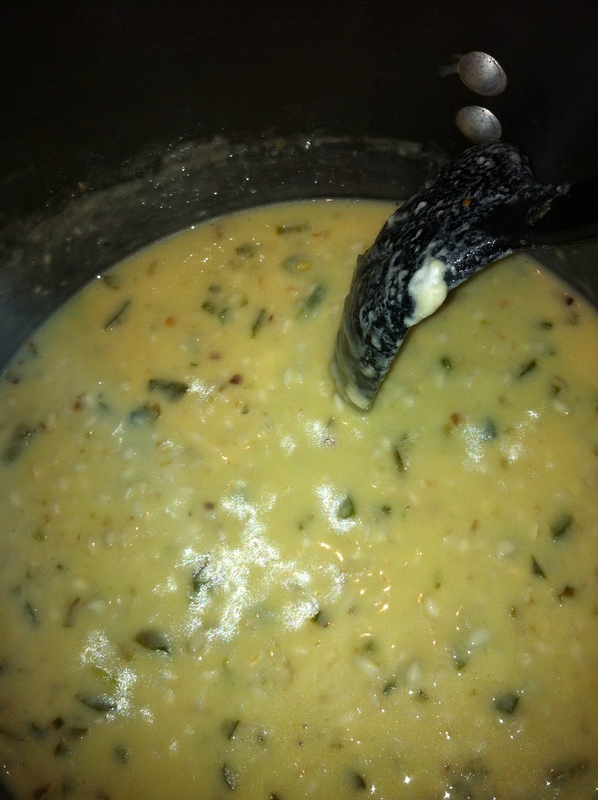 You can omit the jalapenos and change up the cheese. Make it how you like it! Don’t get me wrong, my Kraft macaroni and cheese will always have a place in my heart. But this grown-up version makes more sense in my restaurant owning world! Enjoy! In a medium saucepan, heat the oil until shimmery. 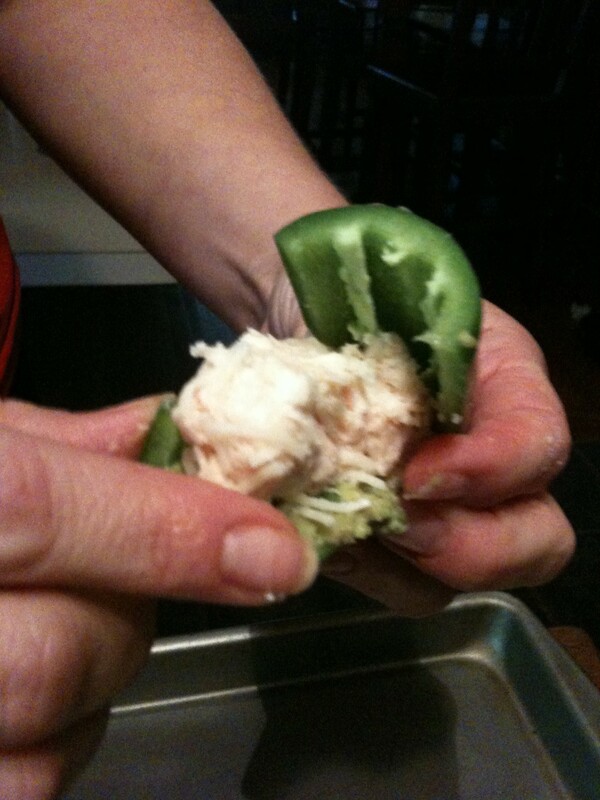 Meanwhile, finely dice the jalapeno peppers. Add them to the oil and sauté them until the edges start turning golden. 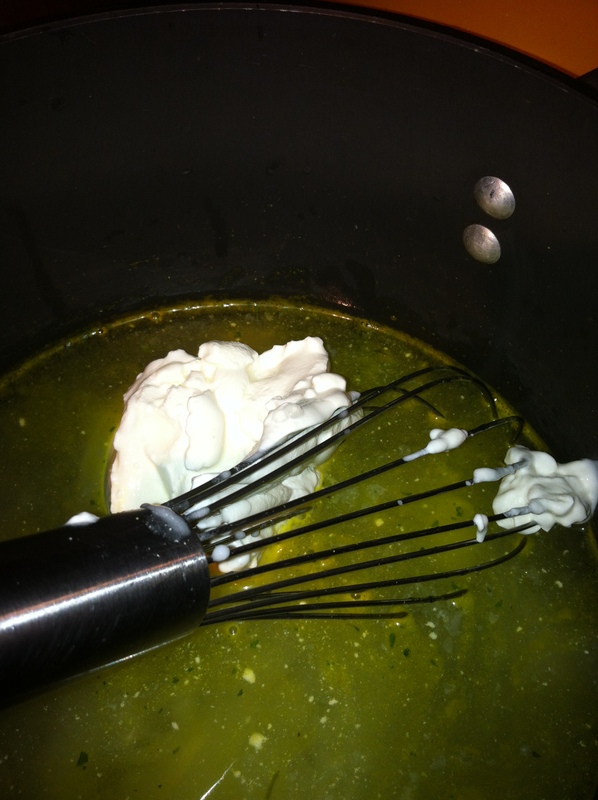 While all of that is cooking, in a small saucepan, heat the water, whisking in the bouillon and sour cream. 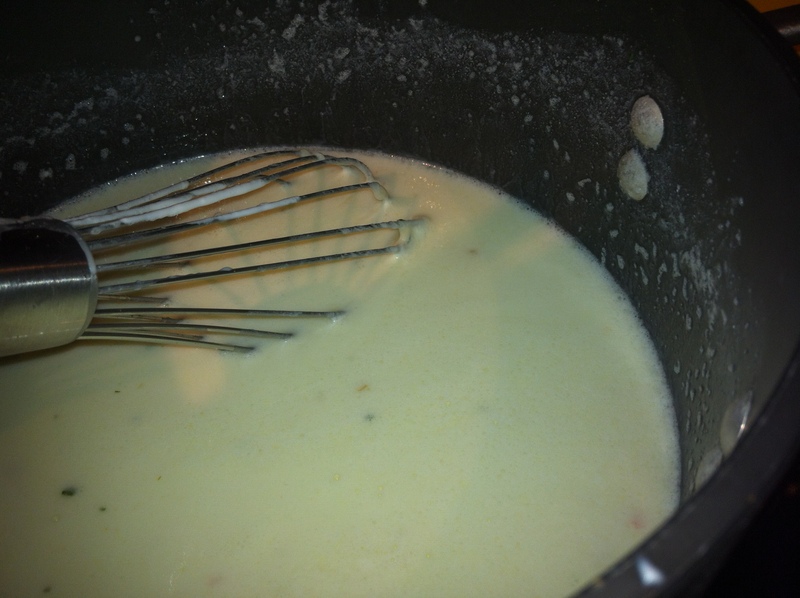 As it starts to simmer, add the cheeses and continue to stir until it is all melted. (It will stay thin) Taste for seasoning and add salt and pepper as desired. Leave it on low heat to keep it warm. Turn the rice pot down to medium low. 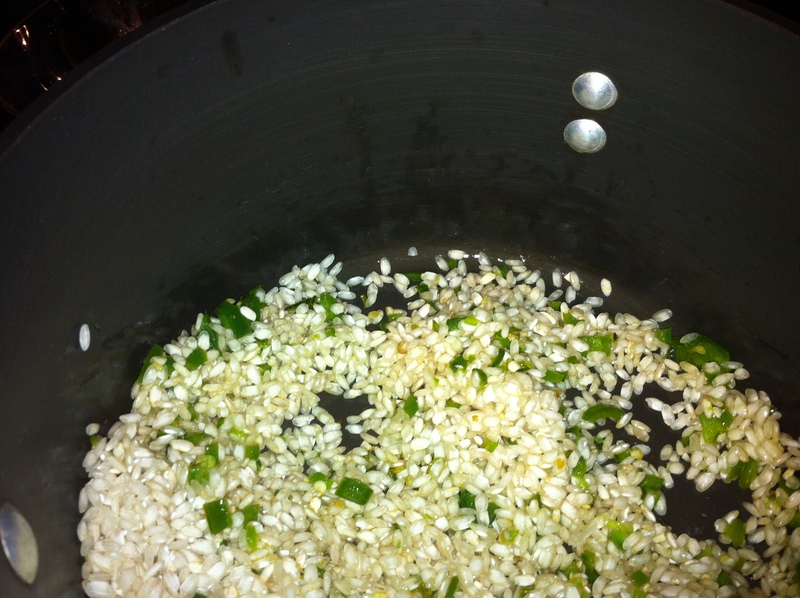 Add half of the hot water mixture to the hot rice and stir continuously until all of the liquid is absorbed. I love summer. I mean, every time a new season starts I am so glad that it is starting. In fact, I spend the first few days of every season (such as they are in Texas) celebrating that it is my favorite season of all. But, really, it’s summer. It’s always been summer. I mean, the Fall is whimsical and refreshing. It ushers in nostalgic feelings of holidays gone by. Winter (especially in the South) is romantic. The 2 days of snow, the warm and fuzzy sweaters, the chance of an unexpected day off of work due to icy roads… Spring is charming with its delicate little flowers, green smells and gentle sunshine. But summer. I love the feeling of stepping out of an artificially cold building into real sun. Overly bright and instantly warming, it is reviving. The longer days offer the promise of more time to do something between work and bed. (Like cooking and eating!) So… summer it is. My official favorite season. So here it is. Take fresh lettuce greens, I always use spinach and something crunchy like romaine. Tear fresh basil leaves and mix them in with your lettuces. 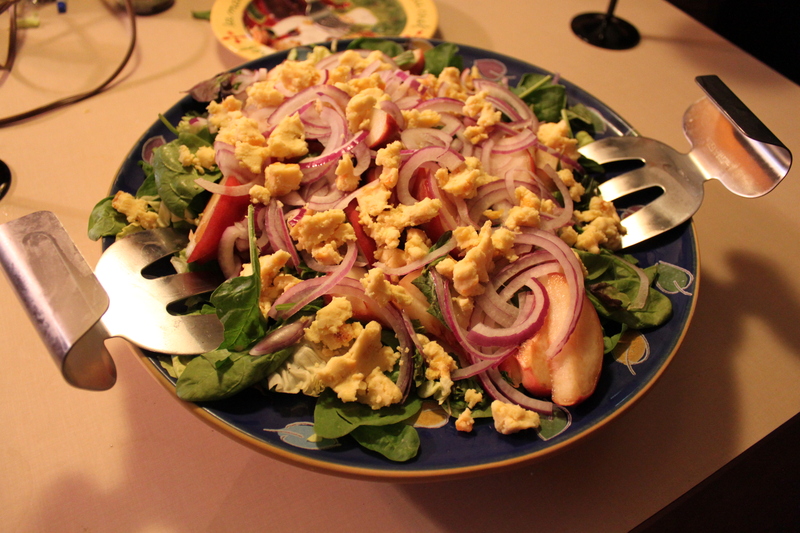 Top it with thinly sliced red onions, sliced fresh peaches and shaved parmesan. Dress it all with this creamy lime vinaigrette. You won’t regret it! Make it an easy meal by adding rotisserie chicken and serving it with a crusty bread. 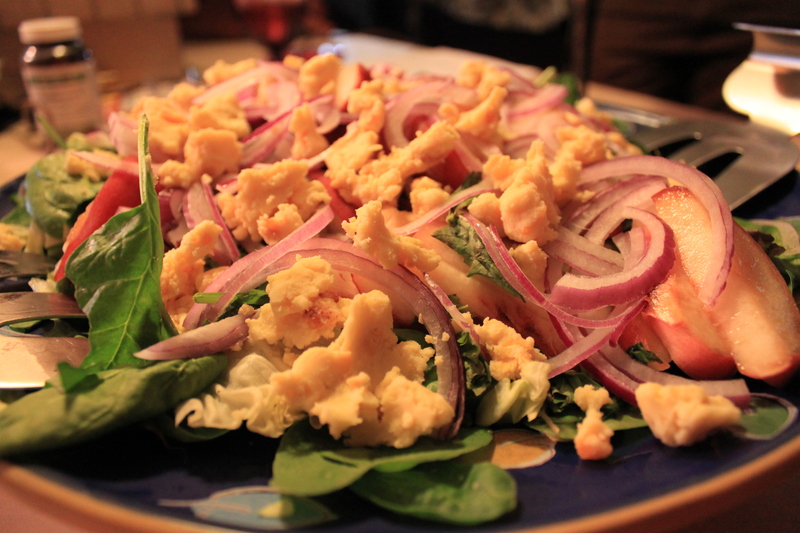 I have served this salad several times and it is always refreshingly different. Let me know how it turns out for you! Happy start of summer! OK, so y’all know that I love to eat! And as good as I try to be, I love food that is bad for me. Most of the time I can make good choices, but every so often a basket of fried pickles (Lake Brazos has the best in town), ooey gooey mozzarella sticks (gotta get em at Buzzard Billy’s), or bacon wrapped, stuffed jalapenos is the only thing that will satisfy. I discovered that my very favorite stuffed jalapenos are at On the Border of all places. They take giant jalapenos, stuff them with chicken and cheese, tempura batter them and deep fry them golden brown. Delicious. Seriously delicious. I decided to come up with my own version. I sorta threw a jalapeno stuffing party, actually. I thought of all of the combinations I wanted to give a whirl and then let people try them! Along with the chicken stuffed version, I stuffed some with goat cheese and dried apricots. I wrapped the whole thing in bacon and broiled it until crispy. 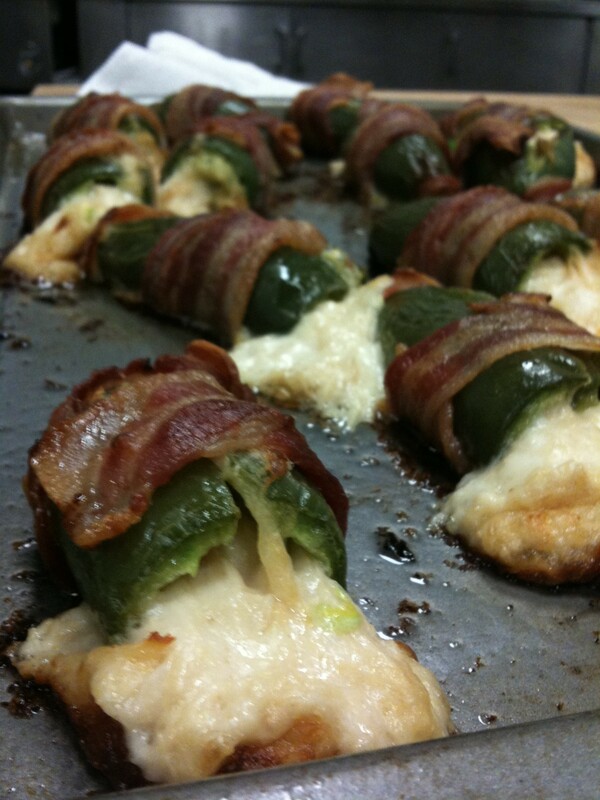 Spicy, sweet and smoky… Anyway, on to the chicken poppers. The chicken version was delicious too. It made a very hearty appetizer. The guys in the group were all in favor! It is great if you are waiting a while before dinner or are throwing an appetizer party that needs to fill people up. It also can be served with all different genres of food. Here is the recipe for my filling. 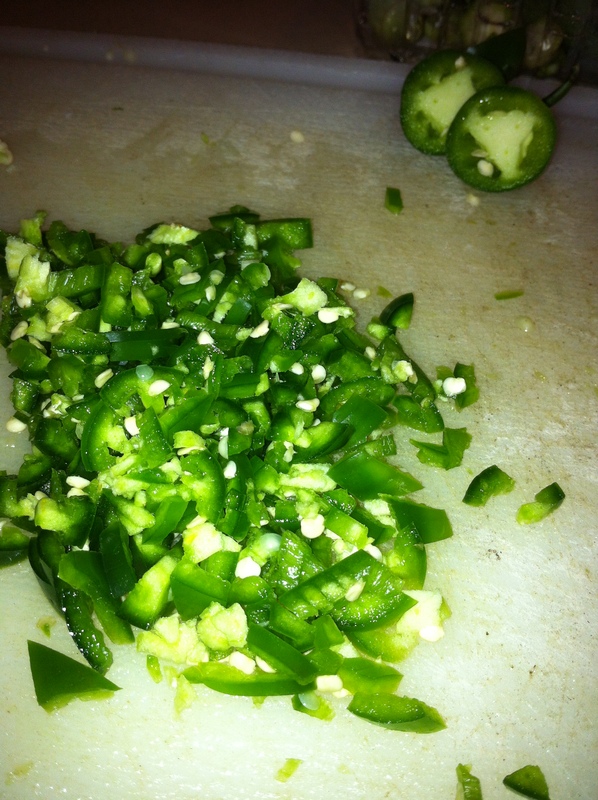 Using a spoon, put about a tablespoon of the chicken mixture into one half of a jalapeno. Top it with the other half. 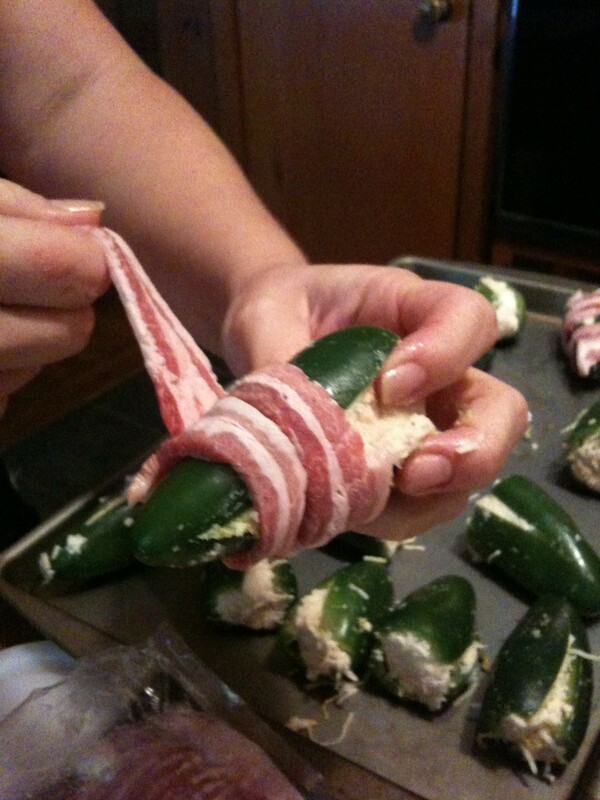 Wrap a piece of bacon around each stuffed jalapeno making sure that the bacon ends are secured underneath the jalapeno. Place the jalapenos on a cookie sheet and broil on high for 8-10 minutes until the bacon is crisp and the jalapeno starts to blister.